2014 Best Buy Rated 1260ef Elliptical Recommended year after year by a leading consumer magazine! Featuring incline training and rugged commercial construction. 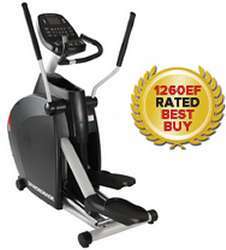 2014 Best Buy 1260Ef Elliptical on Sale now! Arizona Extreme Fitness will deliver and setup your favorite quality Diamondback Ellipticals in Prescott, Flagstaff, Sedona and Phoenix, Arizona at your location! Come on in and browse our 3000 sq ft warehouse showroom in Prescott Valley, Arizona and try before you buy or if you already know what you want just call us for our best price and we will deliver or ship it to you depending on your location in the USA.